Delaware Gov. 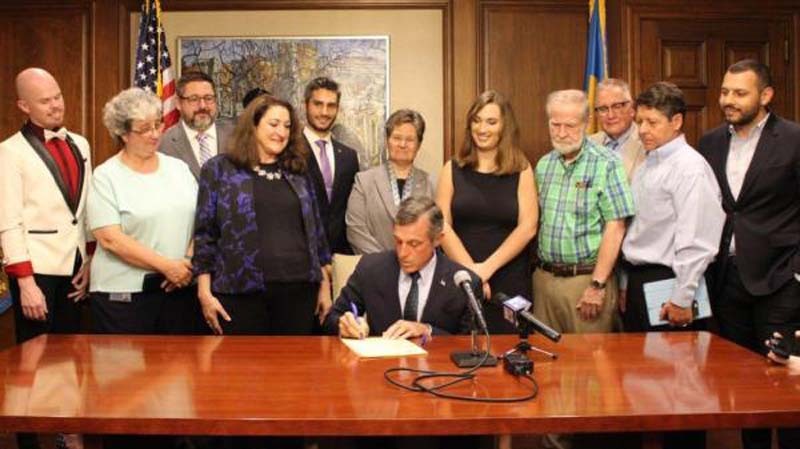 John Carney signed a law Monday prohibiting medical and mental health professionals in the state from practicing or referring conversion therapy for minors. The law made Delaware the 14th state, along with Washington, D.C., to ban conversion therapy, a practice which attempts to change the sexual orientation or gender identity of LGBT people. "All Delawareans, including Delaware children, deserve to be respected for who they are, and I was proud to sign Senate Bill 65 into law today," Carney wrote on Twitter. "Discredited practices like conversion therapy have no place in Delaware." Under the new law the practice is considered unprofessional conduct, for which licensed medical and mental health professionals in the state can face discipline. It also prohibits the Department of Services for Children, Youth and Their Families from recommending conversion therapy to minors. [post_ads]"We are not aware of anyone currently practicing conversion therapy in Delaware," said Lisa Goodman, president of LGBT rights organization Equality Delaware. "We are aware of a number of young people through the years who have been referred out by Delaware licensed mental health professionals to people doing conversion therapy out of state, and that is one thing that this bill will also prohibit." An amendment by Republican state Rep. Richard Collins that would have allowed conversion therapy at the patient's request failed to pass. One of the bill's sponsors, Democratic state Rep. Debra Heffernan, said conversion therapy increases the likelihood of self-harm among LGBT youth. "Conversion therapy is pseudoscience and child endangerment, plain and simple," Heffernan said. Sarah McBride, national press secretary for transgender rights group Human Rights Campaign, praised the Delaware law for protecting LGBT youth from being subjected to conversion therapy. "Today's signing is a critical step forward in the fight to ensure that Delaware is a safe and affirming state for all LGBTQ youth, and we hope that the values and progress reflected in this law guide the ongoing conversation in Delaware about protecting LGBTQ students from discrimination," McBride said.